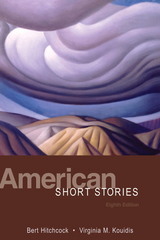 American Short Stories 8 Edition American Short Stories, 8/e is a streamlined anthology that includes "classic" works and contemporary stories that are organized chronologically. Of the sixty selected stories making up this anthology, sixteen are new to the eighth edition and nine of the authors are new. Increased attention is given to the social and cultural contexts in which the short fiction of the United States unfolded. The stories represent a wide range of themes and techniques, forms and types, motifs, tones, and issues.